alaTest has collected and analyzed 53 reviews of Sony DCR-IP220. The average rating for this product is 3.7/5, compared to an average rating of 4.0/5 for other Camcorders for all reviews. Reviewers are impressed by the battery and image quality. The size and portability are also mentioned favorably, but the zoom and reliability get less positive views. There are some mixed reviews about the durability. We analyzed user and expert ratings, product age and more factors. 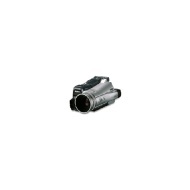 Compared to other Camcorders the Sony DCR-IP220 is awarded an overall alaScore™ of 77/100 = Good quality. alaTest has collected and analyzed 2 user reviews of Sony DCR-IP220 from Amazon.co.uk. The average user rating for this product is 5.0/5, compared to an average user rating of 4.0/5 for other Camcorders on Amazon.co.uk. Reviewers are impressed by the portability and battery. The size and usability also get good feedback. alaTest has collected and analyzed 15 user reviews of Sony DCR-IP220 from Amazon.com. The average user rating for this product is 3.1/5, compared to an average user rating of 3.9/5 for other Camcorders on Amazon.com. Reviewers really like the connectivity and design. The image quality and portability also get good feedback, whereas the durability and zoom get negative comments. Stylish and amazingly compact; innovative design; built-in flash and low-power video light; flexible low-light shooting. Limited choice in editing apps for MicroMV video format; lens has fairly narrow angle of view; no accessory shoe or external microphone jack. This Sony is a tiny, very cool camcorder for the well-heeled video hobbyist who doesn't mind some compatibility limitations. A fabulous all in one imaging device to replace your old camcorder and aging digital still camera. Who cares how good the camera is-you can't download video and work with it. I bought this camera 8 months ago in preparation for my daughters birth and childhood as well as many other things. The world's first 2.11 megapixel digital camcorder is here, and it's from Sony. Sony's revolutionary DCR-IP220 Network Handycam Camcorder uses MICROMV technology to deliver exceptional video and still image quality in an incredibly compact and ingeniously designed package. Not only does the DCR-IP220 record exceptional video at 530 lines of resolution, but also the still image resolution is unprecedented for a Sony Handycam camcorder at 1600x1200 (2 megapixels)! This unit features an all-new design with the 2-1/2" SwivelScreen color LCD mounted on the back, making it even easier to see the action as it happens. And video and still images on Memory Stick Media can be easily emailed or posted to the Internet, right from the camera, using Bluetooth networking technology!